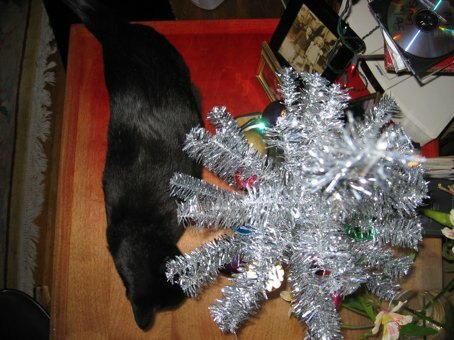 Christmas trees are just too interesting to cats. They must be climbed. 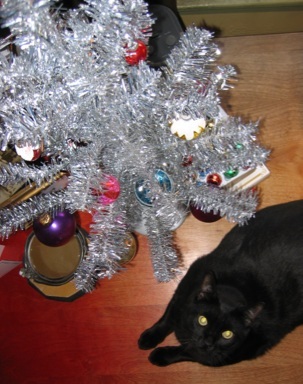 Ornaments that have been in the family for years must be torn from the tree limbs and broken in a millions pieces. So I got a little fake tree and put it on my desk. 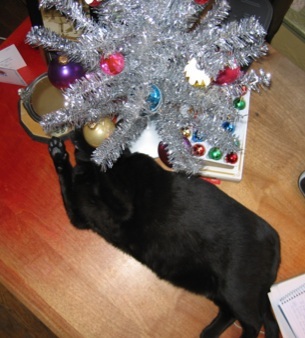 Shortly afterwards, Finney notices the tree’s existence. Stay tuned for the aftermath. You’re a braver woman than I, for sure. My Christmas decoration is a bunch of branches in a sconce too high for cats to reach.